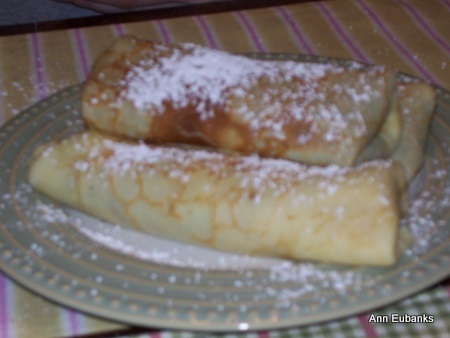 Dessert crepes are delicious with or without filling. 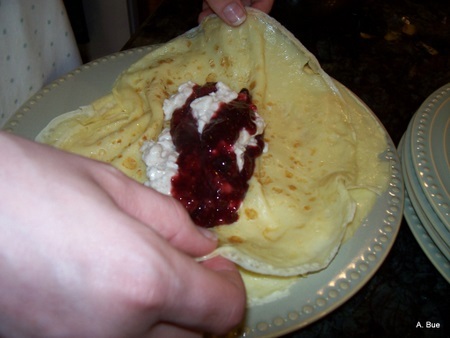 In Norway, we also call them pannekaker. Add melted butter gradually while stirring. 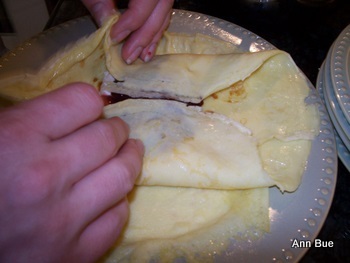 Place batter in the refrigerator for 20 minutes. Sometimes I use an old fashion, iron frying pan to make them other times I make them in a Teflon clad pan. Coat the pan with cooking spray or use a paper towel to distribute a few drops of oil evenly and to soak up excess. 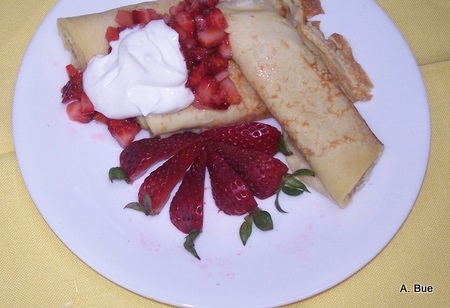 One way is to fill them with whipped cream; and top with berries. 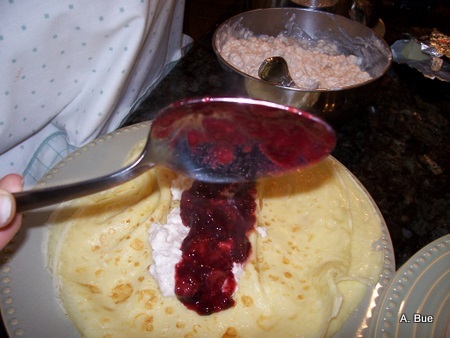 Another way is to fill them with mix whipped cream mixed with berries, jams or pudding and fold or roll them. You might have a question about when to fill and fold? Should you do it while you are baking them or later? Whatever works best for you is the right way. You can fill and roll them after you are done making them all. But if you are lucky to have an assistant, he/she can "fill and roll" them right after you "flip them".